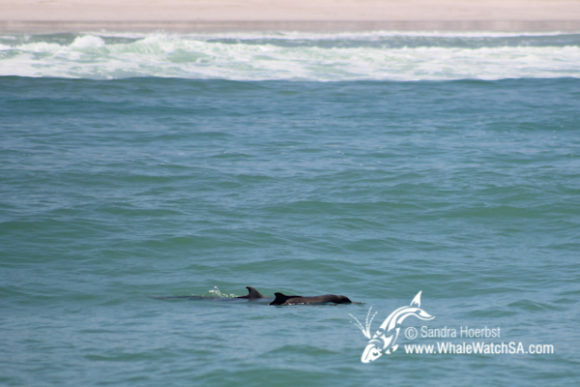 In the area around Uilenkraalsmond we spotted the Indian Ocean Humpback dolphins close to the river mouth. 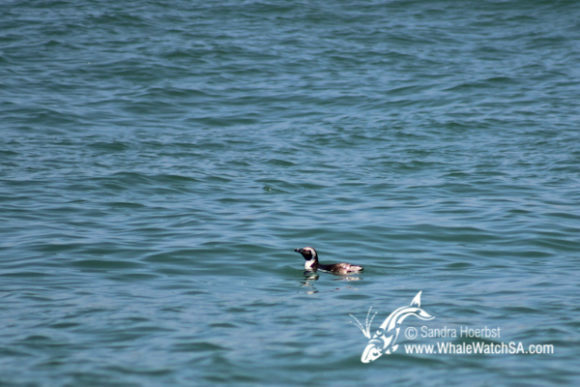 They were busy hunting for fish and stayed quite close to shore, but we still managed to have a good look at them. 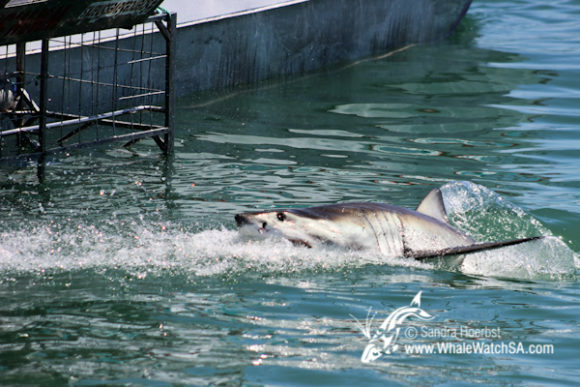 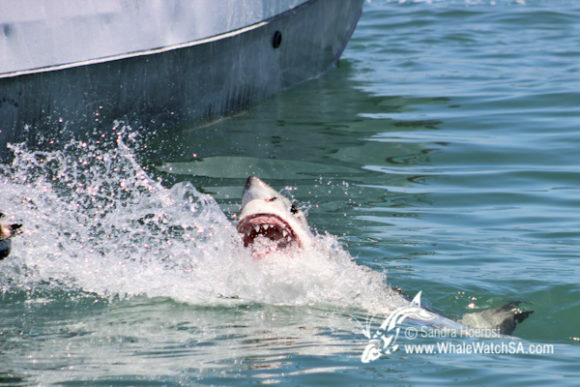 At our sister company we got to see a really active juvenile Great White shark around the cage. 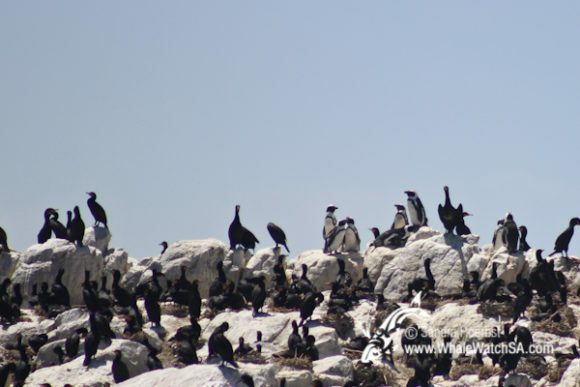 Further we also saw an African penguin in the water and some more on Dyer Island itself. 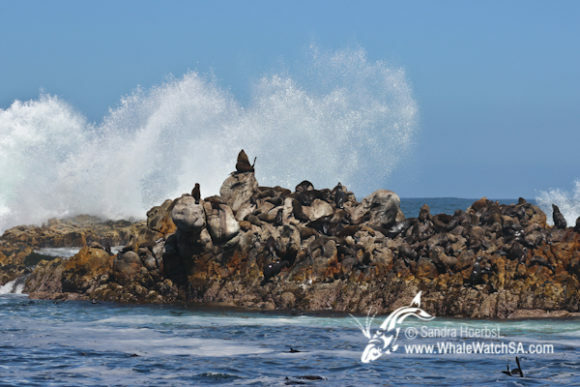 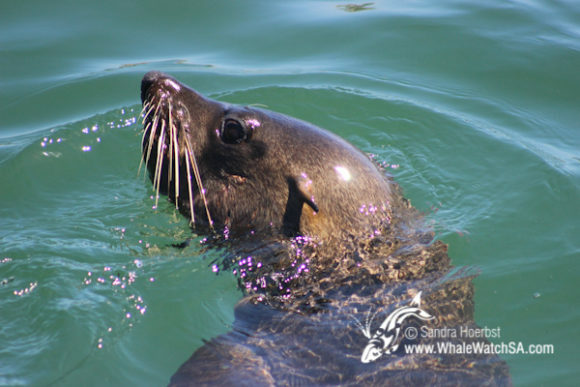 As every day we passed the Cape Fur seal colony on Geyser Rock. 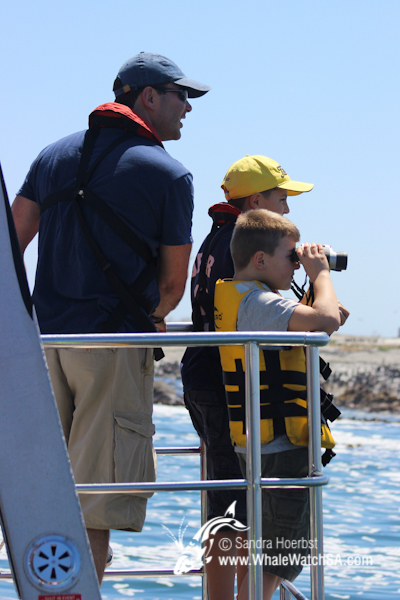 On the way out of Shark Alley our wildlife spotter, spotted a blow behind the islands. 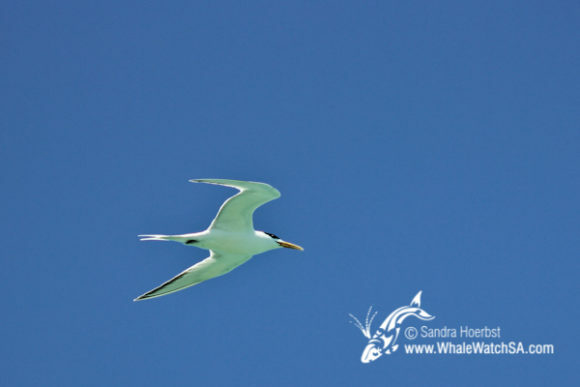 We cruised towards the direction of the spout and were lucky to briefly see a Bryde’s whale.